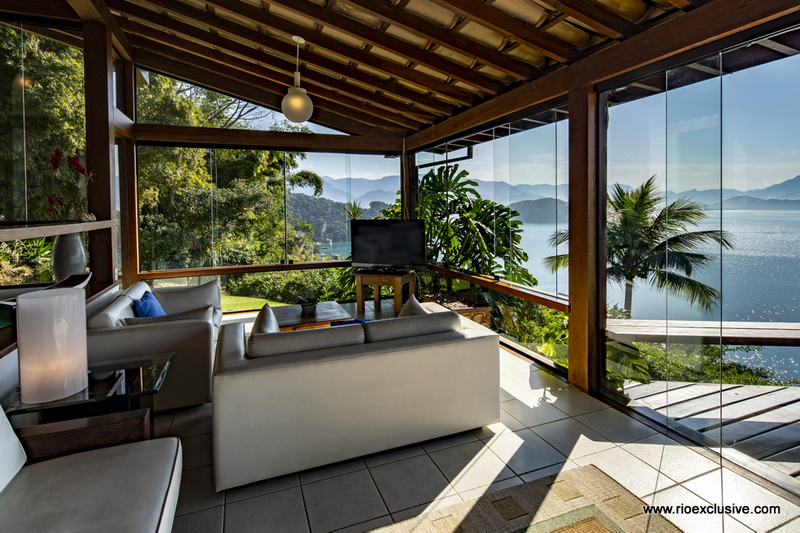 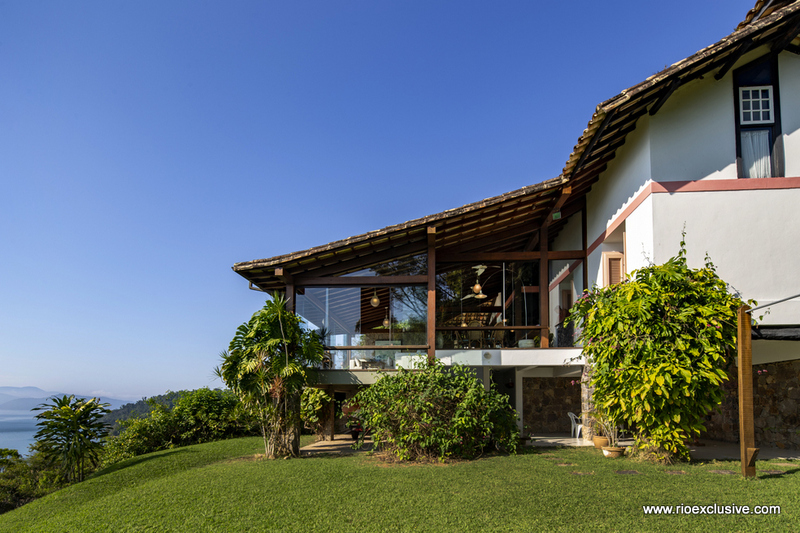 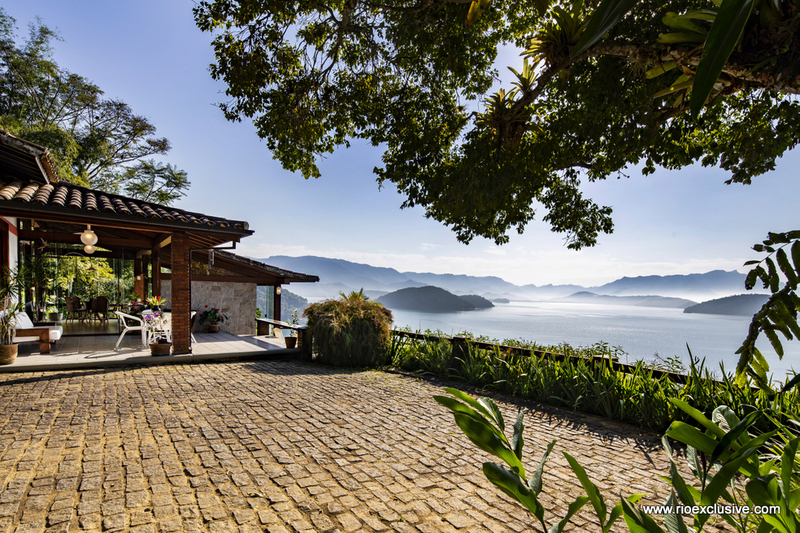 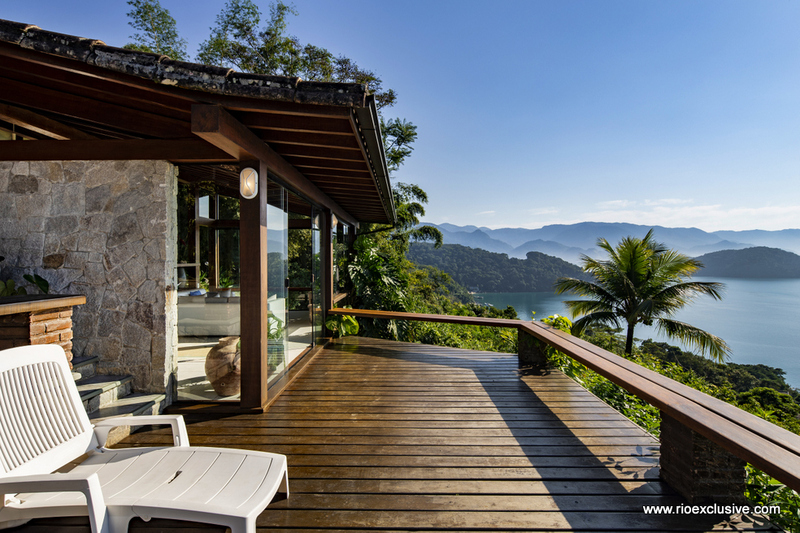 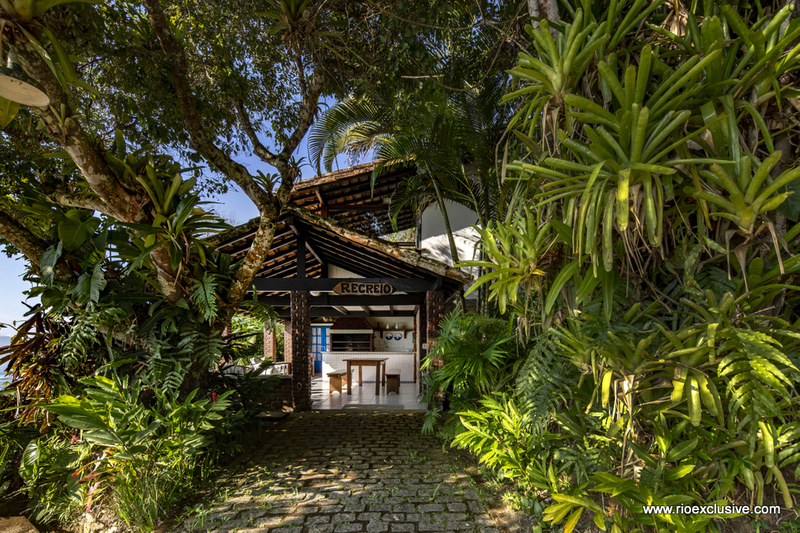 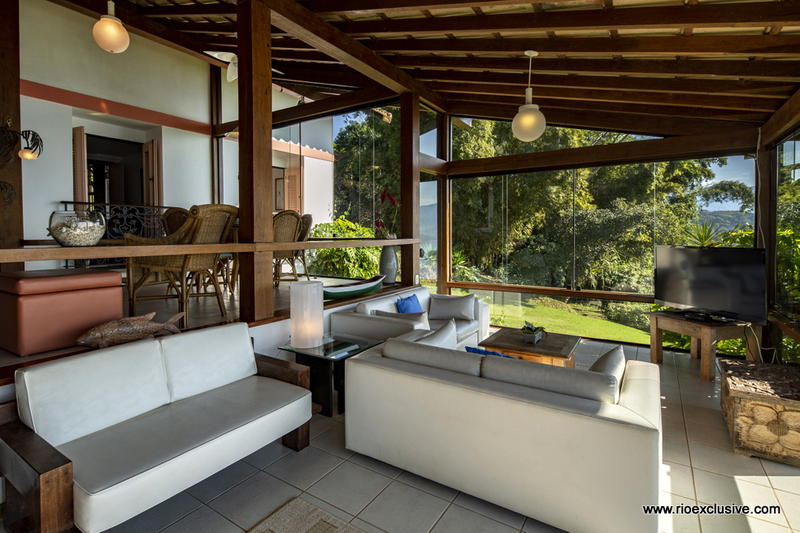 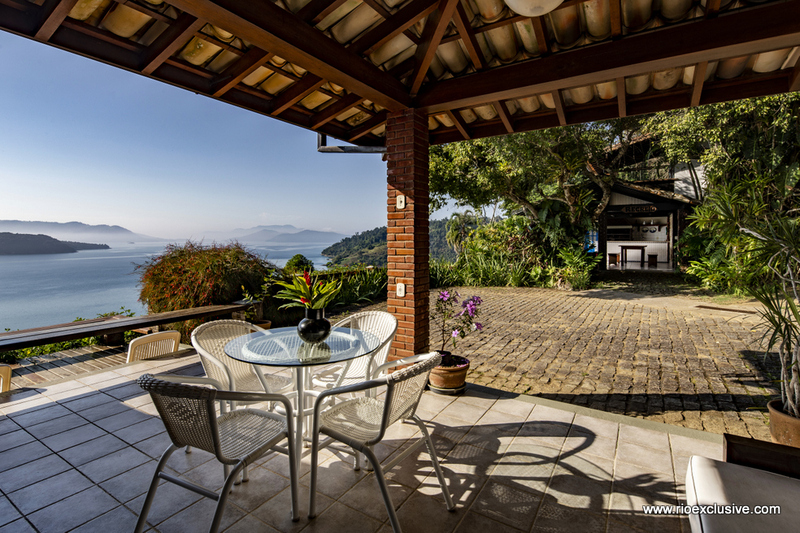 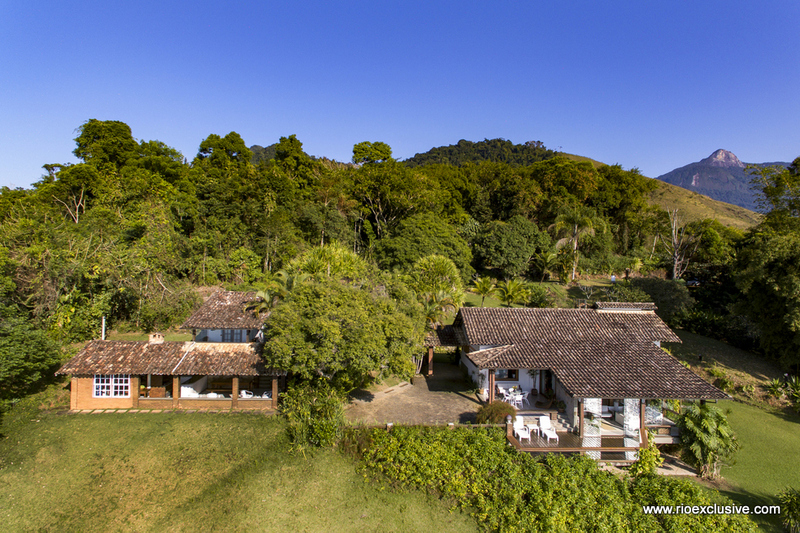 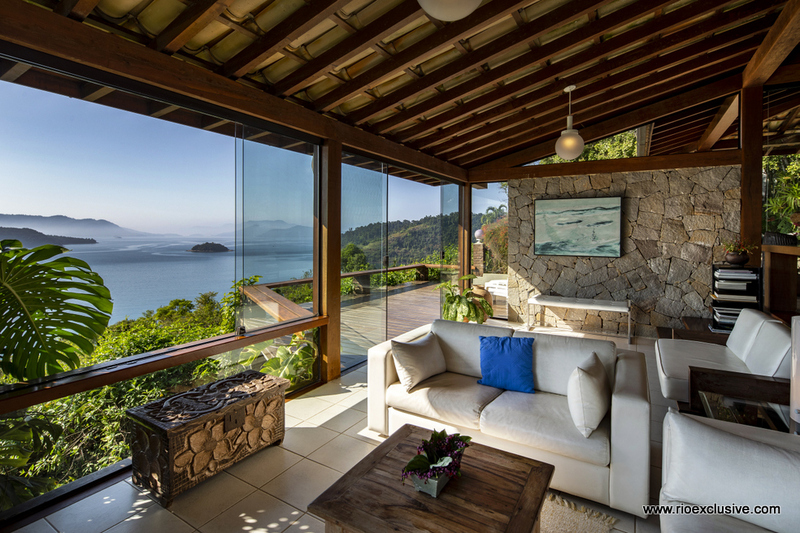 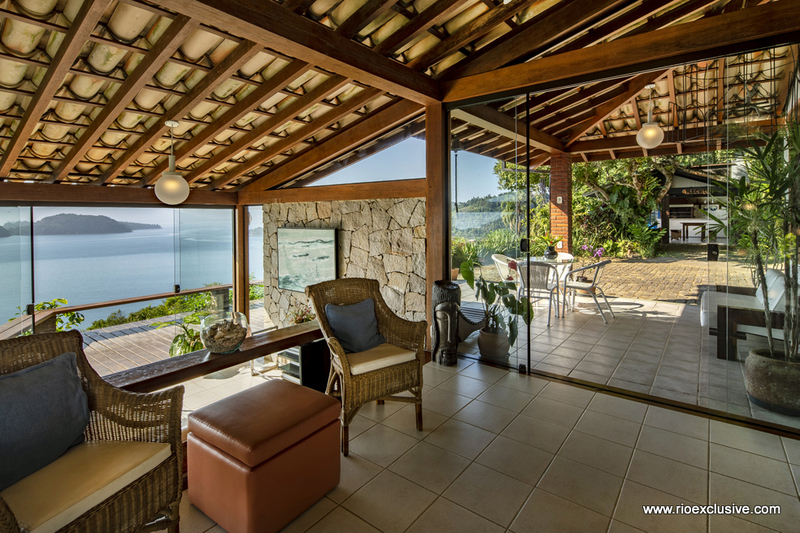 This beautiful 4 bedroom property is located on Ponta do Caiobá, between the mountains and the sea of Angra dos Reis, covering an exclusive area of 35,320 m2 of lush nature. 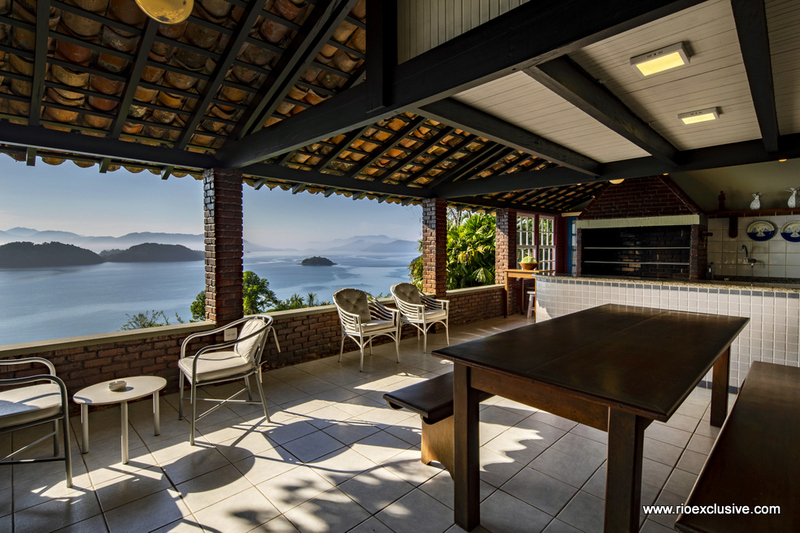 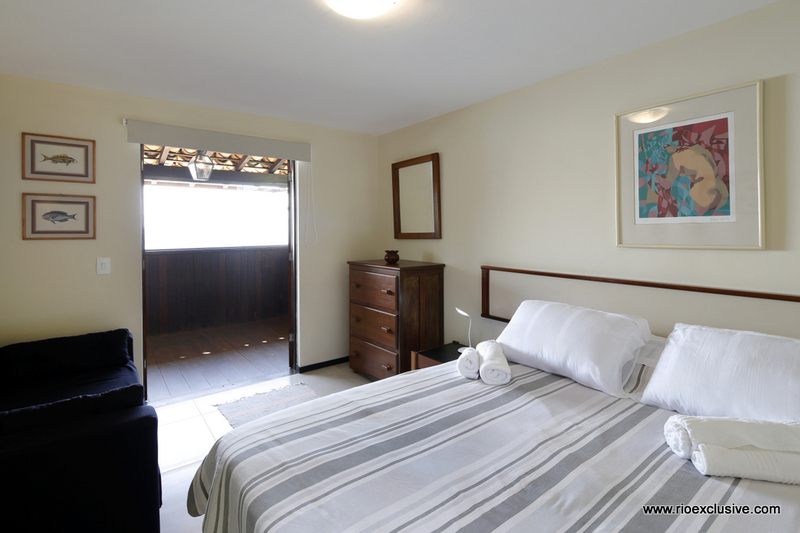 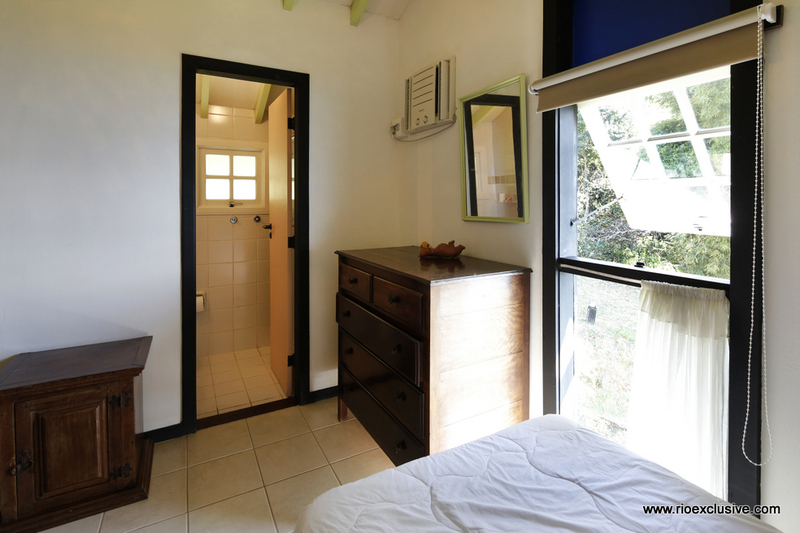 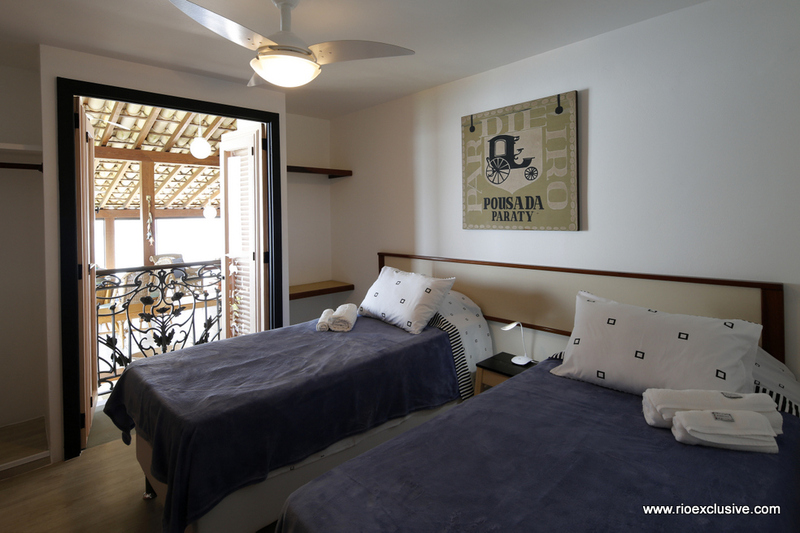 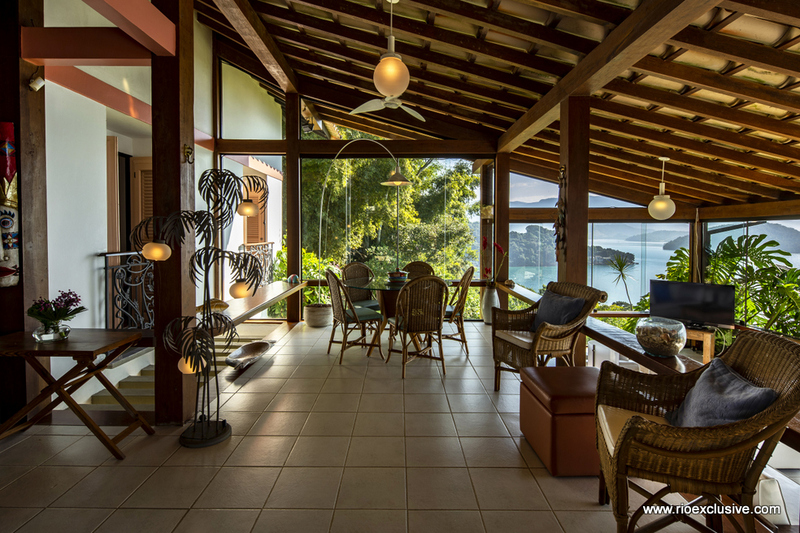 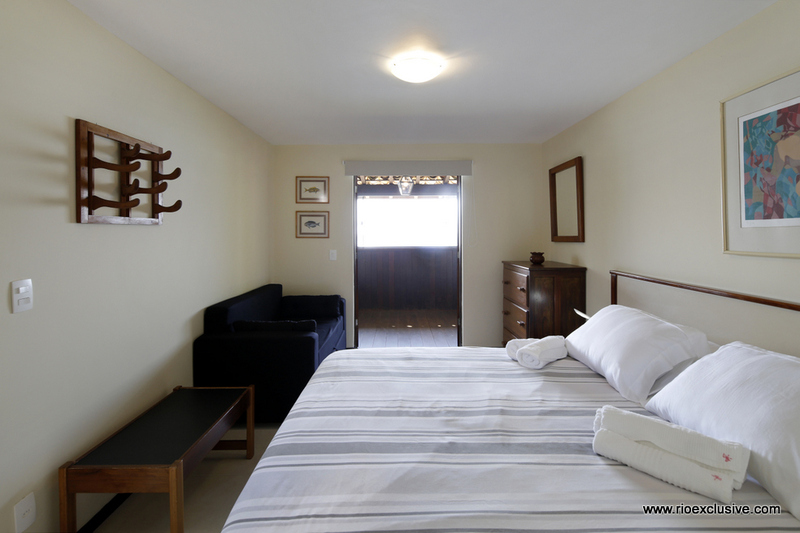 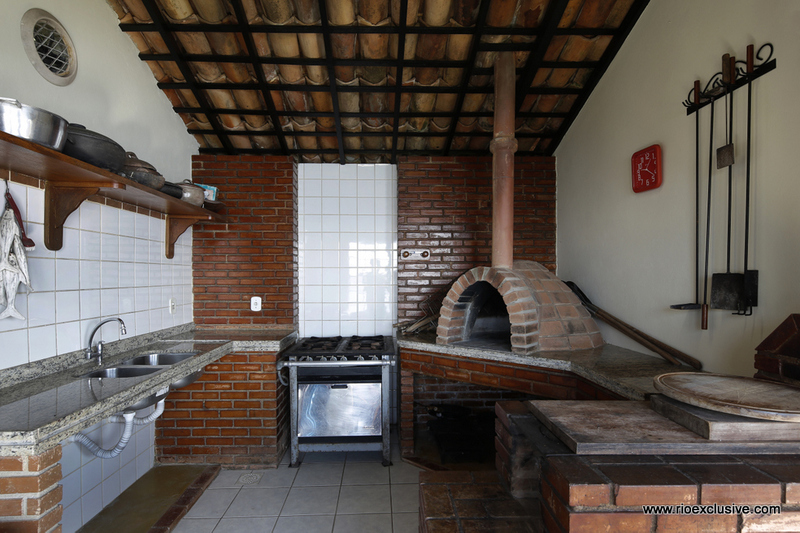 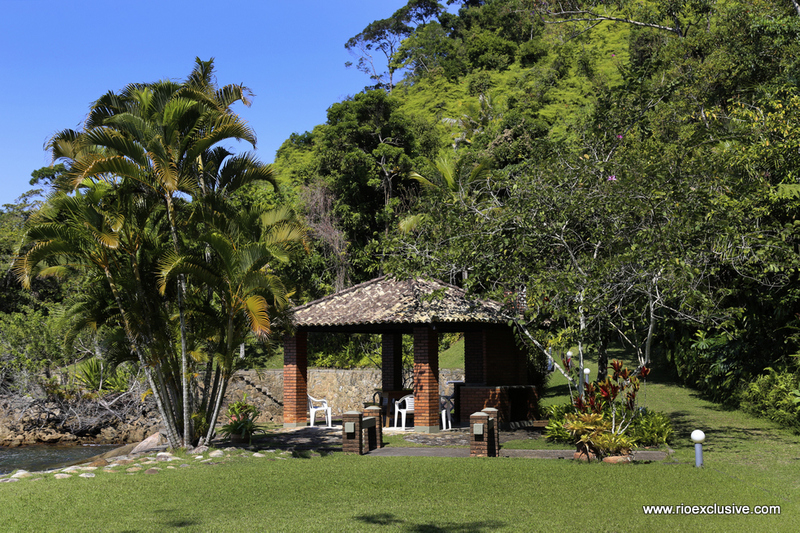 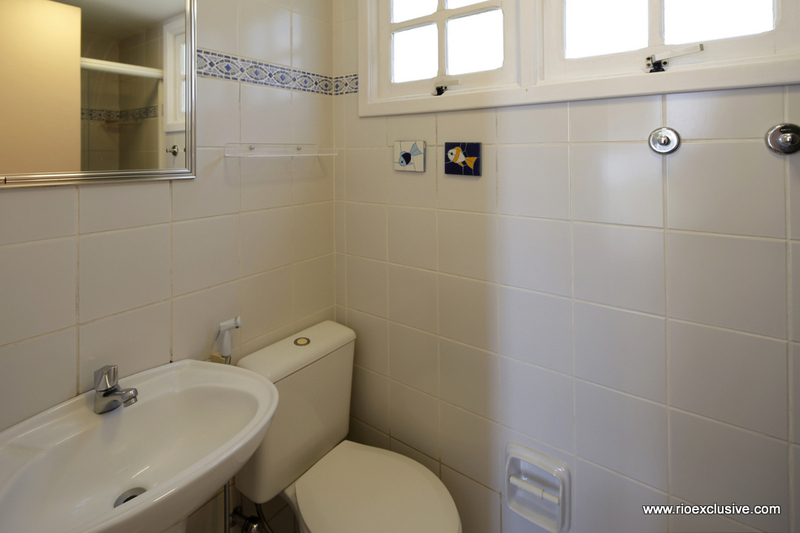 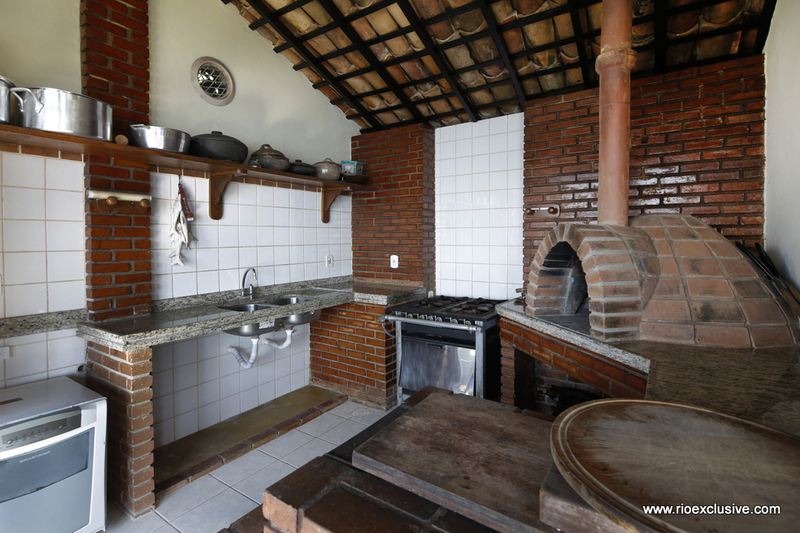 This beautiful property, with large and bright rooms, is located at Ponta do Caiobá, between the mountains and the sea of ​​Angra dos Reis, covering an exclusive area of ​​35,320 m2 of exuberant nature. 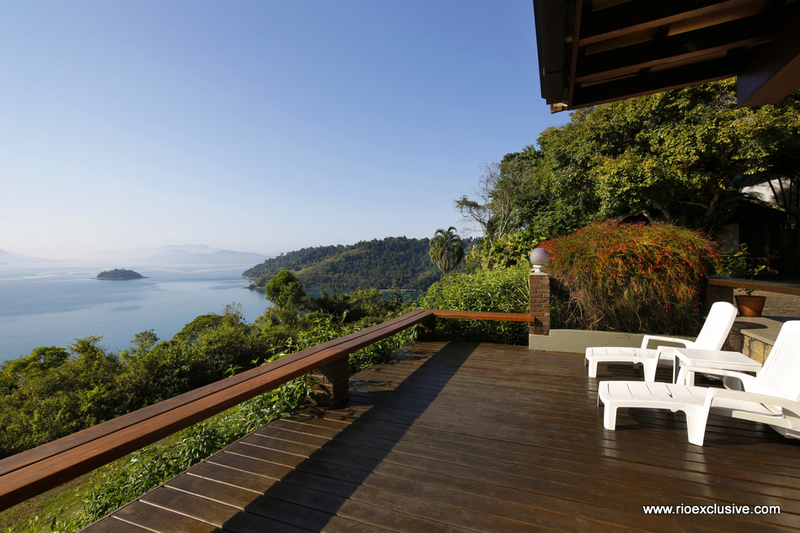 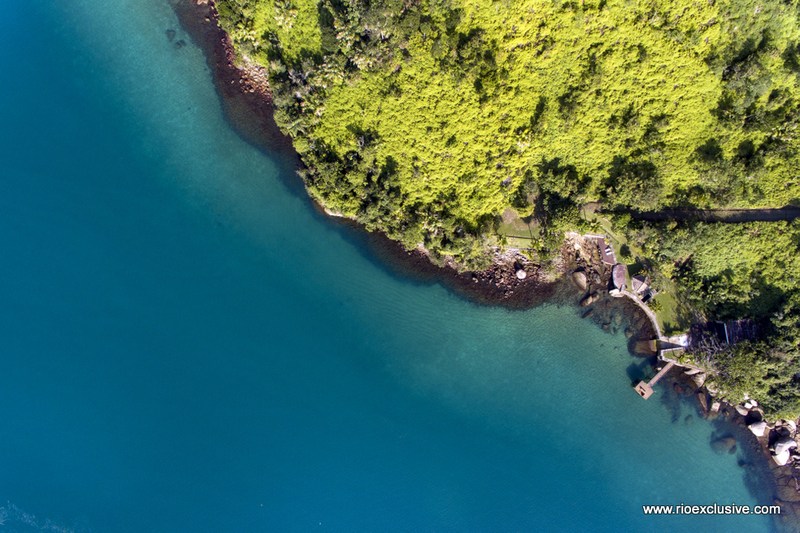 Its privileged location allows sea lovers to sail through emerald green waters between islands of intense Atlantic forest. 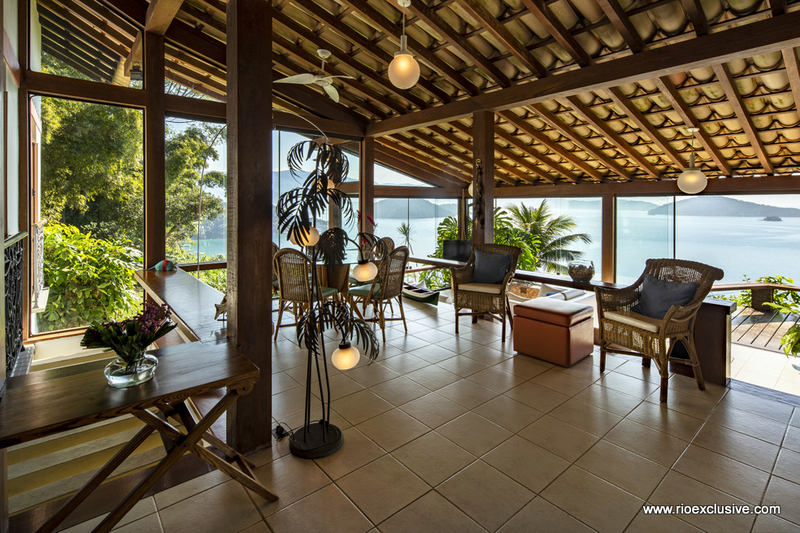 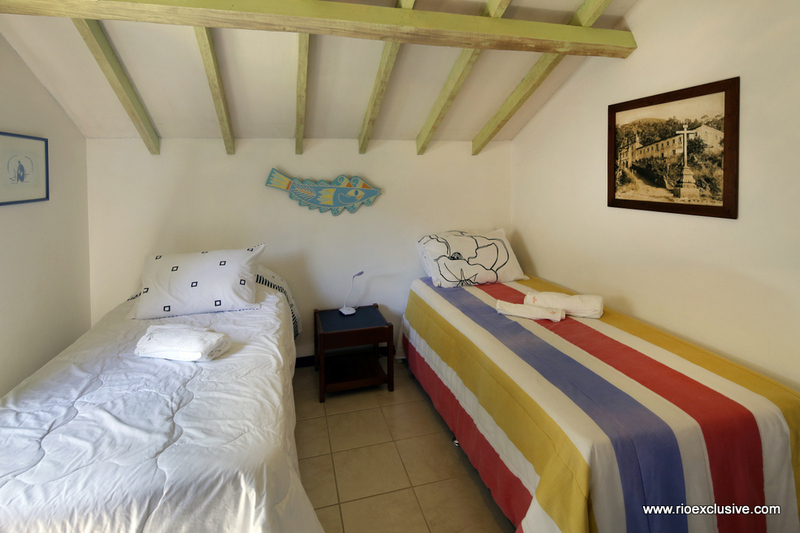 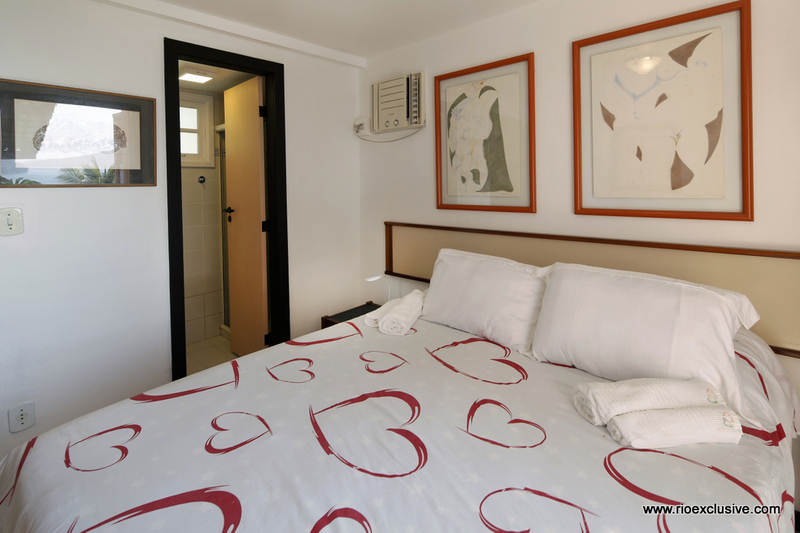 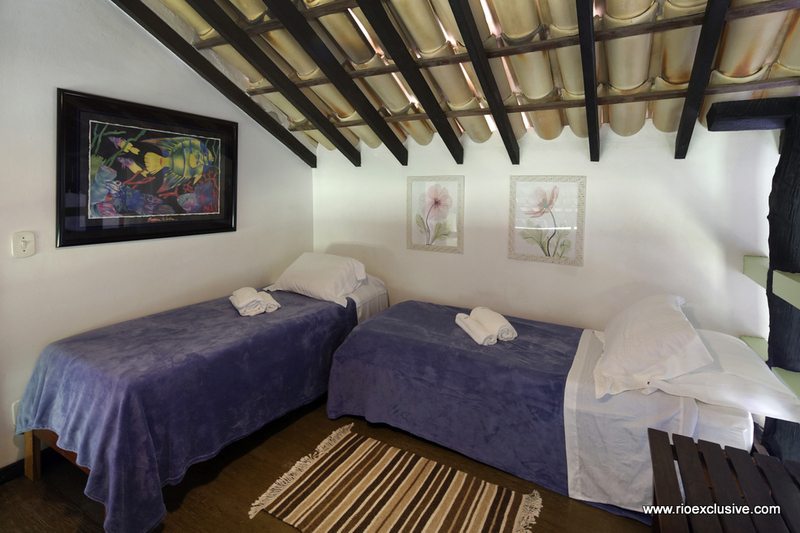 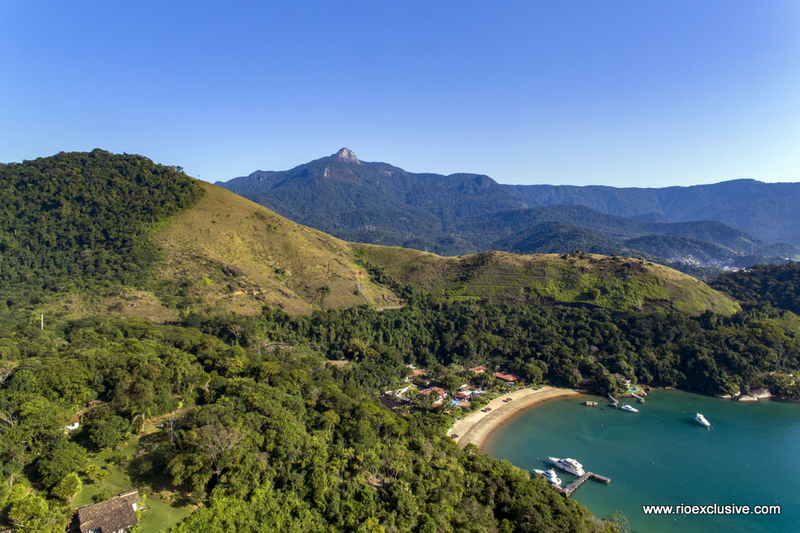 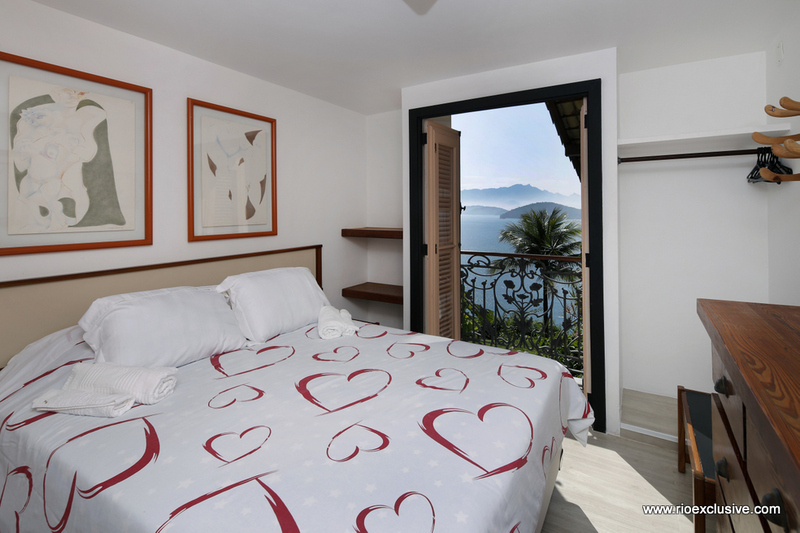 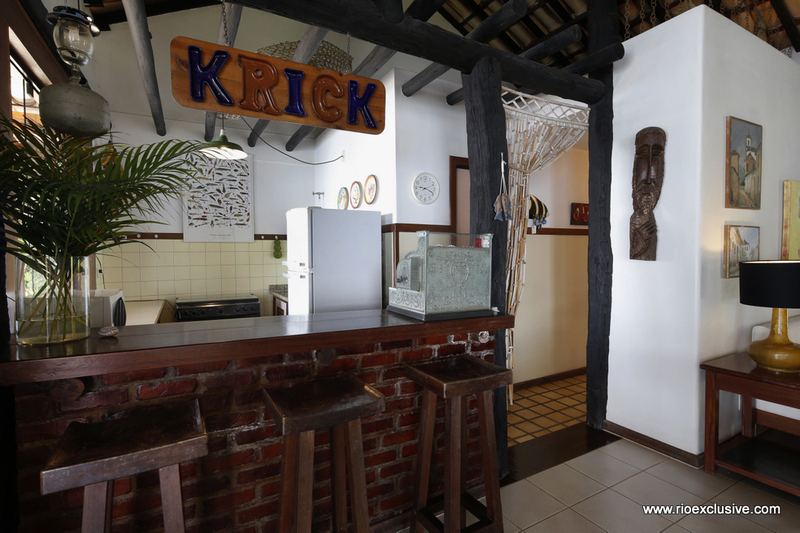 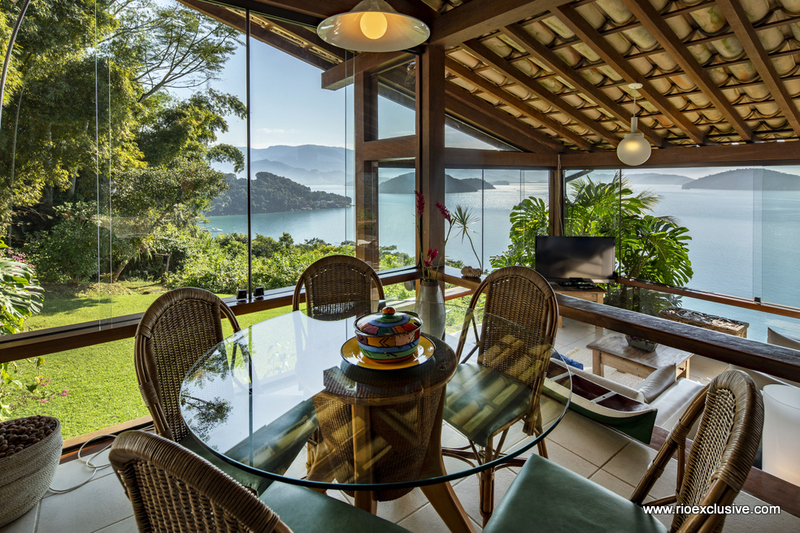 It is located just 80 meters from the sea level and has an incredible panoramic and exclusive view of the Bay of Ilha Grande. 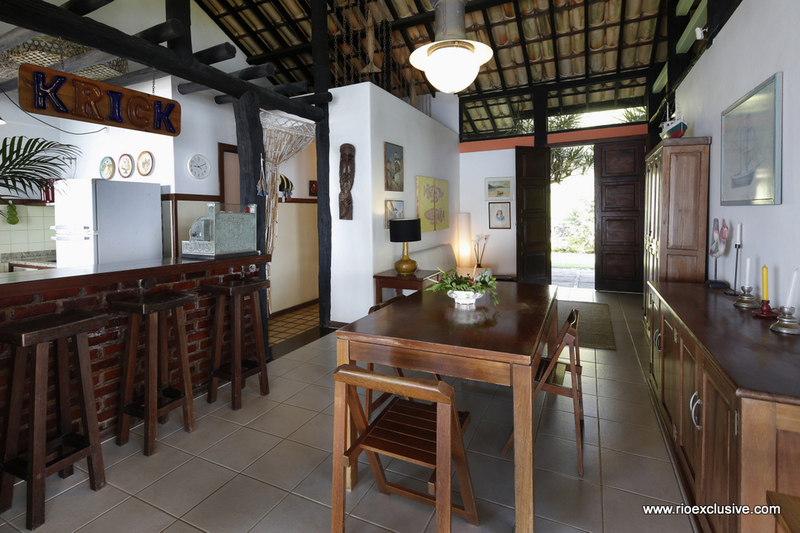 It has four bedrooms, three of them being suites, living room and kitchen. 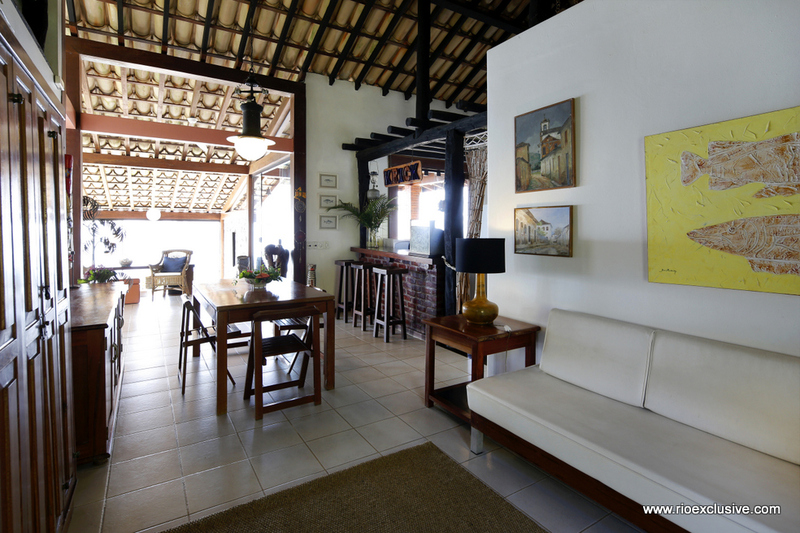 It has a large private leisure area at the seaside with kiosk and barbecue, deck, small private beach, landscaping and complete nautical infrastructure with garage for boat, hobby box and access ramp for small boats and piers. 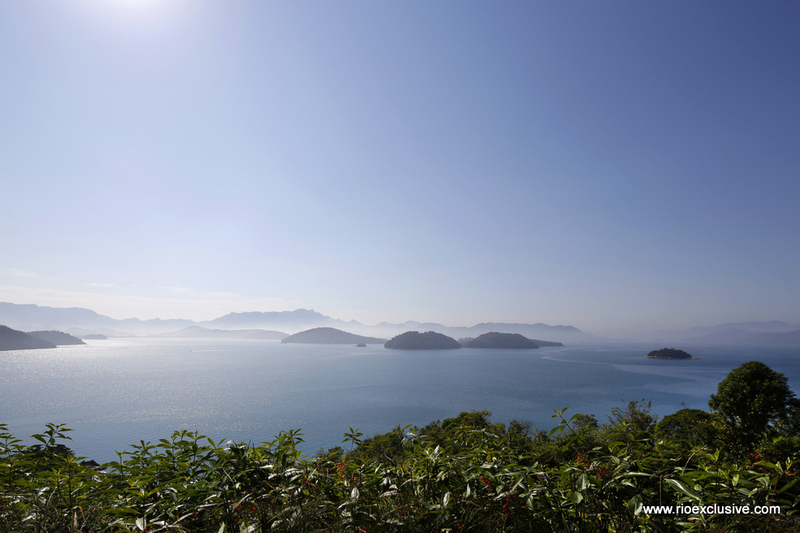 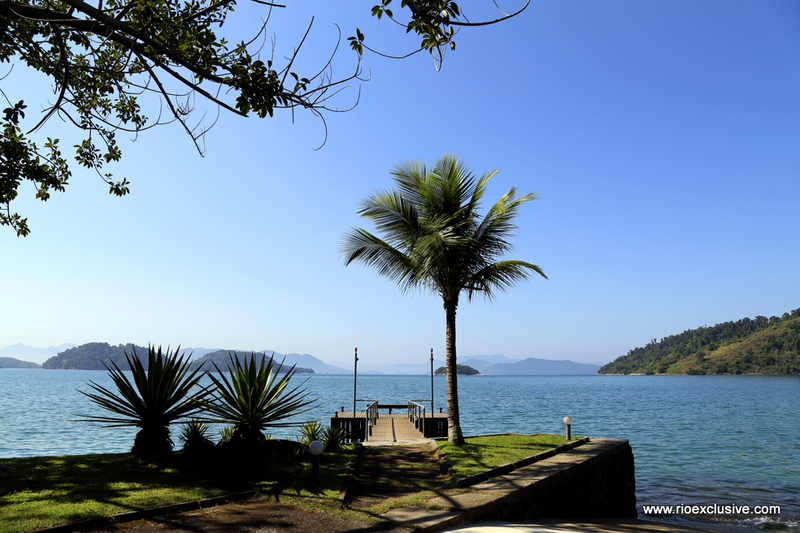 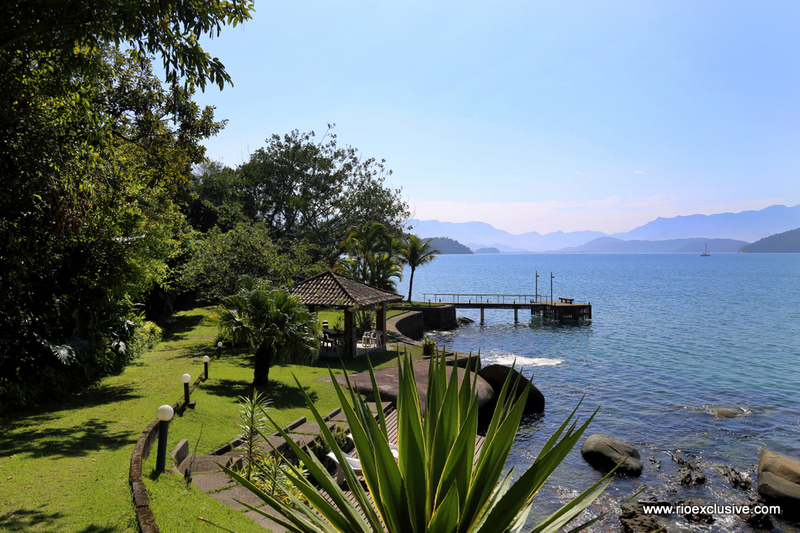 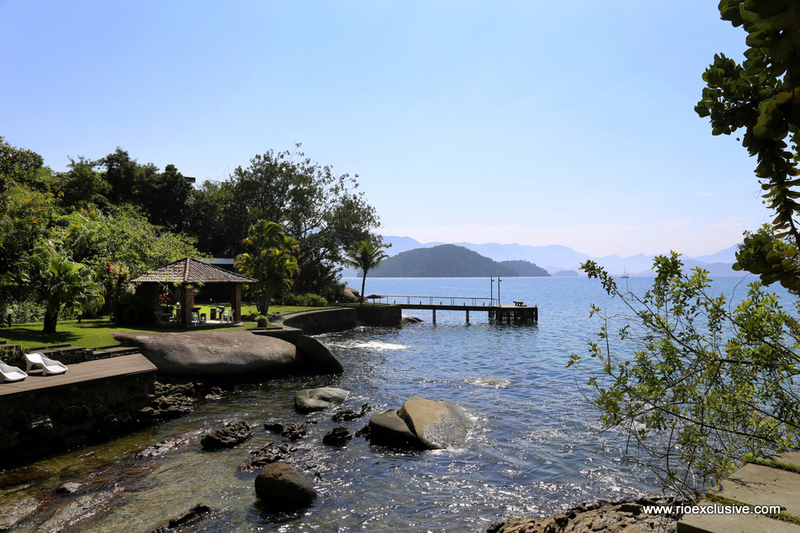 In addition to an exuberant nature formed by paradisiac beaches, the municipality of Angra dos Reis offers a plethora of historical-cultural attractions and a wide range of bars and restaurants for all audiences.